Food Safety First! is an approved Florida food worker training program, meeting all requirements of Chapter 509 of the Florida Administrative Code. Food Safety First! is a five-part video series that gives practical examples of key food safety issues in food service and the causes of foodborne illness, personal hygiene, time and temperature abuse, preventing cross contamination, and cleaning and sanitizing. Each segment contains a quiz that employees must challenge as they navigate through the course, along with a final exam to test learning. 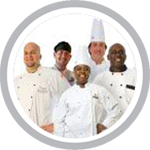 Florida food handler safety training is necessary for employees in the food service and hospitality industry. Florida food safety training is for employees (such as chefs, cooks, servers, preparers, vendors, caterers, supervisors and managers) who are involved in preparing, storing, or handling food that work in: (restaurants, bars, cafes, bakeries, delis, mobile food trucks, assisted-living, day care centers, and convenience stores). Food Safety First! 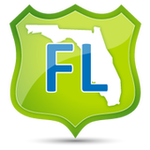 is an approved Florida food worker training program, meeting all requirements of Chapter 509 of the Florida Administrative Code. 509.039 Food service manager certification. 509.049 Food service employee training. Florida requires each retail food establishment to have a person-in-charge, an owner, or manager of a food establishment be a Certified Food Manager (CFM) as outlined in the FDA Food Code by successfully passing an accredited ANSI food safety certification exam. We offer online Food Safety Training in Florida for: Jacksonville, Miami, Tampa, Orlando, St. Petersburg, Hialeah, Tallahassee, Fort Lauderdale, Port St. Lucie, Cape Coral, Pembroke Pines, Hollywood, Miramar, Gainesville, Coral Springs, Miami Gardens, Key Biscayne, Palm Beach, Niceville, Parkland, and many more! Jacksonville - Florida Food Safety Terms: food safety, food safety course, food sanitation, state-approved, certified food manager, cfm, mobile food vendor, food cart, mobile food trucks, food truck, catering, food safety training, food safety exam, food manager certification, food handler card, food handler, food safety manager, food manager cerification prep, food manager, food managers certification, on-premise, off-premise, food managers class, food managers course, food safety class online, haccp, serve-safe, foodsafety.gov,fda.gov, food safety training, ansi, cfp, ansi-cfp, food safety jobs, food safety links, food safety course demo, food safety regs, food inspector, foodborne illness. Jacksonville, Miami, Tampa, Orlando, St. Petersburg, Hialeah, Tallahassee, Fort Lauderdale, Port St. Lucie, Cape Coral, Pembroke Pines, Hollywood, Miramar, Gainesville, Coral Springs, Miami Gardens, Key Biscayne, Palm Beach, Niceville, Parkland, and many more!